Embarking on a healthy diet journey doesn't mean eating boring foods and flavorless dishes. Not at all, and this master veggie burger will actually prove the contrary – it's the easy way of turning a classic into its healthier version, using fresh veggies and healing spices, and creating a nutrient-rich dish, bursting with flavor and vibrantly colored. 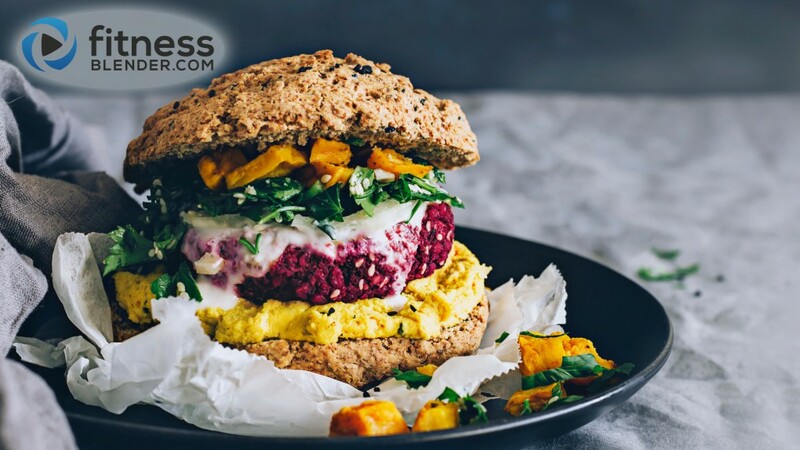 Beets, sweet potatoes, chickpeas, nuts and seeds, fresh parsley and turmeric – simple and nourishing ingredients, turned into delicious veggie burgers, bathed into flavored sauce and packed into whole wheat buns. Doesn't it sound delicious? 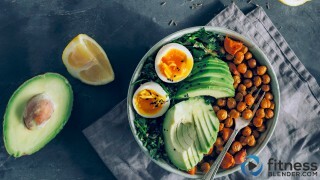 Legumes, beans or cereal grains as a base – this could be anything from lentils, quinoa, bulgur, brown rice, beans of any variety, chickpeas. Egg or egg replacement (ground flax, chia seeds) – to hold the ingredients together. Vegetables to add nutritional value and lovely color to your burgers – sweet potatoes, beets, broccoli, spinach, parsley, kale. Nuts or seeds – to give them meat-like texture. Onion, garlic or ginger – to add flavor. Extras – spices (turmeric, curry paste, cumin), dried herbs, smoked paprika, chili flakes and others of your preference. Adding beets to the veggie burgers is a great way to nourish your body cells with exceptional nutrients. Beets are unique sources of betalains and contain a concentrated combination of minerals (copper, manganese, potassium and magnesium), making the perfect combo your cells need to trigger the natural detoxification process. They also contain important concentrations of carotenoid antioxidants with health effects for your eye sight and skin. The absorption of beet carotenoids is increased when combining it with nuts and seeds, which are a good source of healthy monounsaturated fats. Related: This Easy, Healthy French Fries Recipe tastes great on the side & you can sub them out for sweet potatoes if you like! I always prefer to add the vegetables raw to preserve most of their nutrients, but to enhance the flavor, you can actually roast or grill them and then incorporate into the patties. These veggie burgers are made with raw beets, brown rice, egg and walnuts, because I intended a high nutritional value for this meal, but you can mix the ingredients according to your own taste, there isn't a specific rule. Preheat the oven 175°C, 350°F. Add the walnuts into the food processor and pulse to obtain a small grind. Add the beet, onion, brown rice, egg, garlic, ginger, salt and red chili flakes, and pulse to incorporate and obtain a sticky mixture (make sure you don't over-process because you need a little bit of texture and not a mushy mix). Line a baking sheet with parchment paper, shape the mixture into burgers using your palms, line the patties onto the sheet and bake for 15 minutes, then flip over and bake for five to seven minutes. To assemble the burgers spread turmeric hummus onto a bun half, add a beet burger, drizzle with yogurt-tahini sauce, top with parsley salad and roasted sweet potato and add the bun top. Serve immediately or pack to go.